Kindness is shown through our actions even more so than through the words we speak. This caring 7-year-old carefully nurses her precious pet back to health. 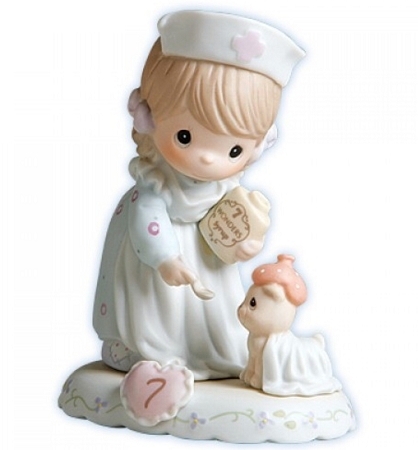 Part of the Growing In Grace series, this figurine is a wonderful way to show a special girl how proud of her you are. Look for other pieces in the series, available in both blonde and brunette styles, to celebrate all her birthdays through age 16.